Open publication Biological systems have always inspired mankind in the creation of new systems and technologies. In recent years the interfaces between the biological and non-biological worlds appear increasingly blurred due to significant advances both in our understanding of biological phenomena, as well as the development of sophisticated means to manipulate biological systems for varied applications. 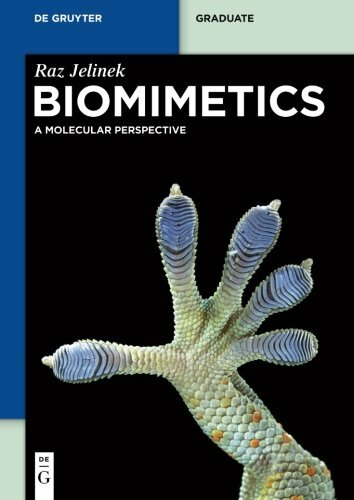 Biomimetics as a discipline shows how biology and biological processes are manifested in diverse aspects of chemistry, physics and engineering. This book aims to methodically describe artificial and synthetic assemblies mimicking biological and living systems - from drug discovery to microelectronics and computer sciences. Raz Jelinek, Ben Gurion University, Beer Sheva, Israel.